You’ve probably heard something positive about essential oils. Whether you’ve been told that they can relieve stress or improve your skin, you’re probably wondering if all the hype is true. 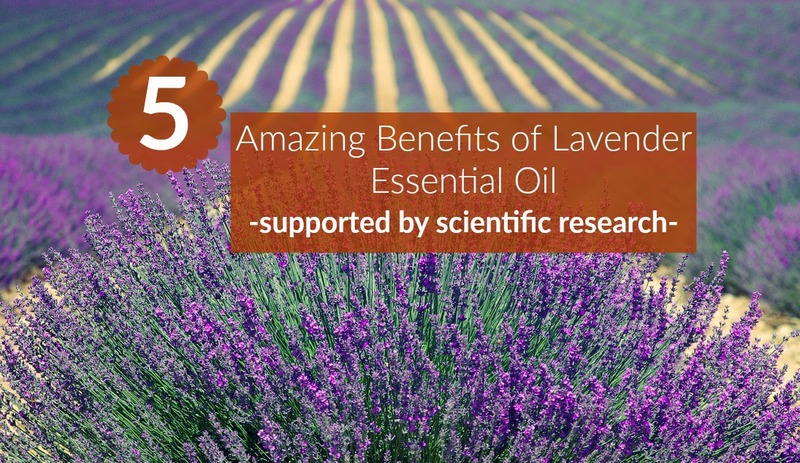 It turns out that lavender essential oil, one of the most popular types, has numerous benefits that have been supported by scientific research. Here, learn about five of these benefits. The scent of lavender oil might help you to cope with a stressful situation. 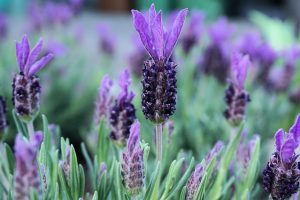 While resting, half of the subjects were exposed to lavender essential oil, whereas the other half served as a control group. Researchers took saliva samples from subjects before and after the mathematical task as well as twice during the rest period. Study results showed that salivary levels of chromogranin A, a biological indicator of stress, were reduced significantly in the lavender group but not in the control group. The authors concluded that these results indicate that the scent of lavender could relieve stress. If counting sheep isn’t working for you, lavender oil could provide some relief. One group of students practiced good sleep hygiene and wore a lavender inhalation patch to bed every night, whereas the other group practiced sleep hygiene and wore a blank patch to bed. After five nights, both groups experienced an improvement in sleep quality, but the effect was greater in the group exposed to lavender. Participants in the lavender group also reported that they woke up feeling refreshed. The research suggests that lavender oil could be as effective as medication in reducing anxiety. One group of participants was given a lavender oil capsule, and the other took a benzodiazepine medication. Study results indicated that the two groups experienced a similar reduction in anxiety levels. If you have been struggling with anxiety but are hesitant to take medication, lavender oil could be a viable alternative. Lavender oil could be useful when you simply want to unwind after a long week at work or a busy day of running errands and taking the kids to soccer practice. Participants also reported feeling more relaxed after being exposed to the lavender. Students heart rates were reduced by eight beats per minute after inhaling lavender. Lavender can even be beneficial if you have a new baby at home. Levels of cortisol were reduced among infants after exposure to lavender, indicating that it lowered their stress as well. Life is definitely easier when your baby is calm, so investing in some lavender oil might be just what you need. The best part is that lavender essential oil is free of the harmful chemicals found in many over the counter products. Try out this essential oil today, and you could feel calmer yourself, in addition to enjoying better sleep.